P.E.I. 's Buddhist monks are looking for donations to sell at next weekend's 70-Mile Coastal Yard sale in eastern P.E.I. Having a yard sale can be a great way to declutter your home — but what if, like P.E.I. 's Buddhist monks, you have no clutter? You ask for someone else's. 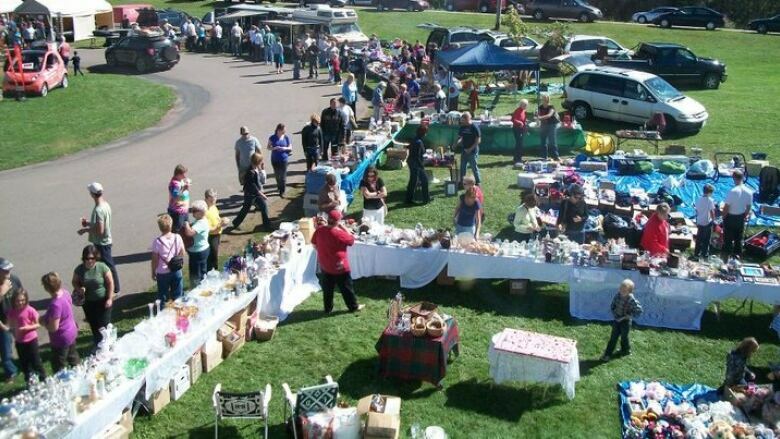 The annual 70-Mile Coastal Yard Sale is taking place next weekend, September 22 and 23 — the monks will have tables set up at their monastery in Little Sands and they're looking for donations of items to sell. The monks come to P.E.I. to study and are well known for charitable deeds like baking and delivering thousands of rolls to Islanders in need, as well as growing and giving away vegetables. "This year we noticed something different from previous years — during summertime we got a lot more requests than before [for food], so it's kind of alarming," said Venerable Dan, one of the monks who is often a spokesperson for the group of between 400 and 500 monks who now call P.E.I. home, as part of the Great Enlightenment Buddhist Institute Society or GEBIS. "Other than baking rolls, is there anything else that we could do?" Then someone brought up the idea of raising money through the annual yard sale, which happens in eastern P.E.I where the monks have their large campus. "We were hesitant because we don't have much personal stuff to sell — how can we participate in this event?" Venerable Dan said. 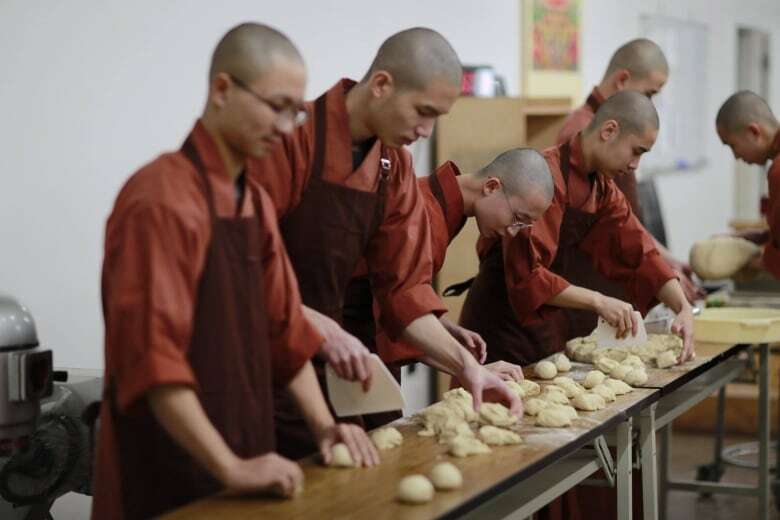 The monks all wear long brown robes, sleep 10 to a dorm room and are permitted few possessions. With some further brainstorming, the monks decided to ask for donations to sell. They will use the proceeds to fund charity events this winter, said Venerable Dan. They will set up their yard sale Saturday only at the edge of their property near Wood Islands at 12174 Shore Road in Little Sands. They're also looking for volunteers to help with the sale. Monks will be at the site greeting the public but their code of conduct does not allow them to take part in financial transactions, said Venerable Dan. Anyone looking to donate things for the monks to sell, to pick up the items across P.E.I., or to help sort donations and staff tables in Little Sands next Saturday can sign up on the Facebook page About Monks. "When the time gets tough, everybody can just do a little bit to help each other out. We are not looking for superheroes to come out and save the day but everybody does a little bit — this is the Island spirit," said Venerable Dan. The monks have dug deep to find personal items to donate — literally. Many arrived on P.E.I. with currency in their pockets, so they passed around a jar to collect it, and will be selling the coins from around the world. One monk is donating a bicycle he had before he joined the monastery. Audrey Shillabeer, the sale's co-ordinator, thinks the monks are a great addition to the sale. "This was a real delight for me to see," she said of them signing up. The monks have registered their site with the organizers of the sale and so will be listed in its printed directory, which is available at many gas stations and stores in Charlottetown and eastern P.E.I. "They did also say the proceeds will be used for charity purposes, and we do know our good neighbours are really good for that. We love having the monks in our community." 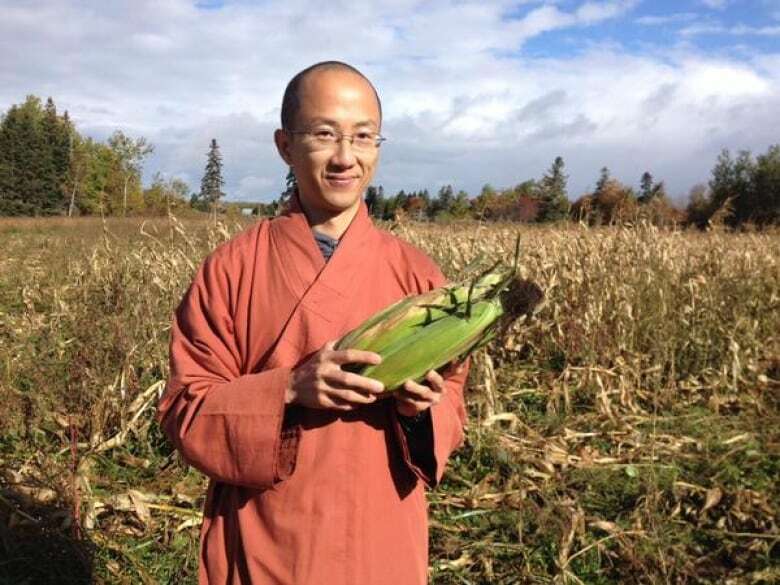 There is also a community of Buddhist nuns on P.E.I. in Uigg. Venerable Dan said if the yard sale goes well this year, the nuns might take part next year.